In the long run, diligence trumps talent. 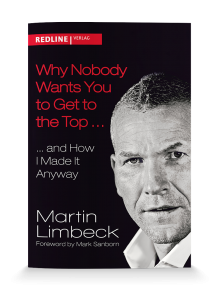 Indeed, this is how Martin Limbeck got to the top—and for him it is a great privilege to be able to share his knowledge and experience as a sales trainer and keynote speaker and support others in their quest to get the best out of themselves. Are you looking to develop yourself and continue getting better? Martin Limbeck is happy to share his know-how with you and offer you the opportunity to learn even more, for example through his publications or his blog. How much of Martin Limbeck do you have in you? Complete the “Sales Competence Check” and find out in which areas there is still room for improvement.